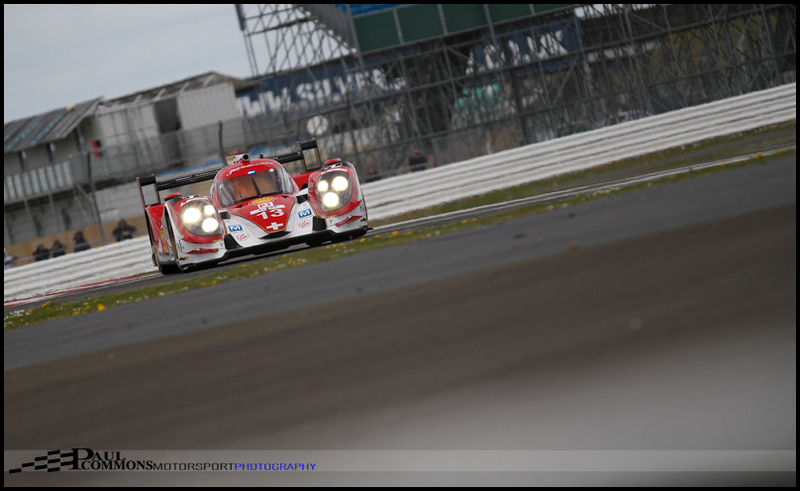 A jam packed Easter weekend schedule saw Toyota take a convincing WEC victory at Silverstone with Thiriet by TDS Racing coming out on top in the rejuvenated European Le Mans series event. 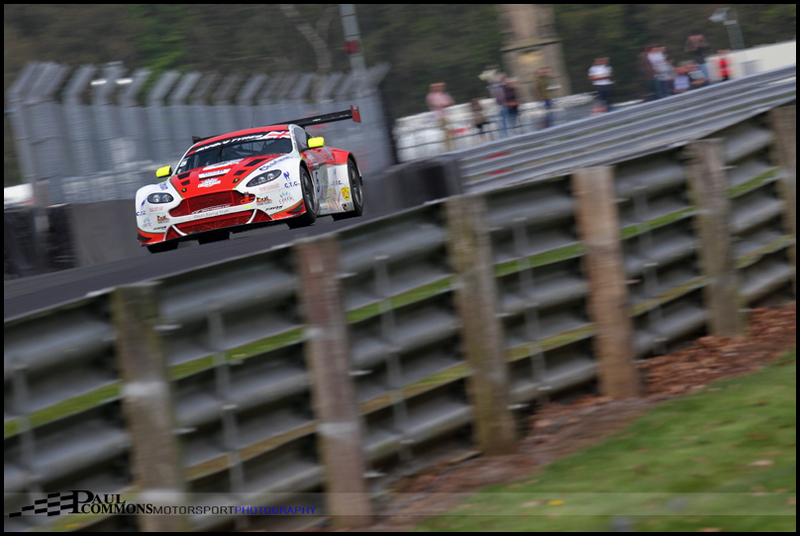 Spoils were shared at Oulton Park as the Oman Racing Team Aston Martin and Ecurie Ecosse BMW took the race victories in round 1 of the British GT championship. 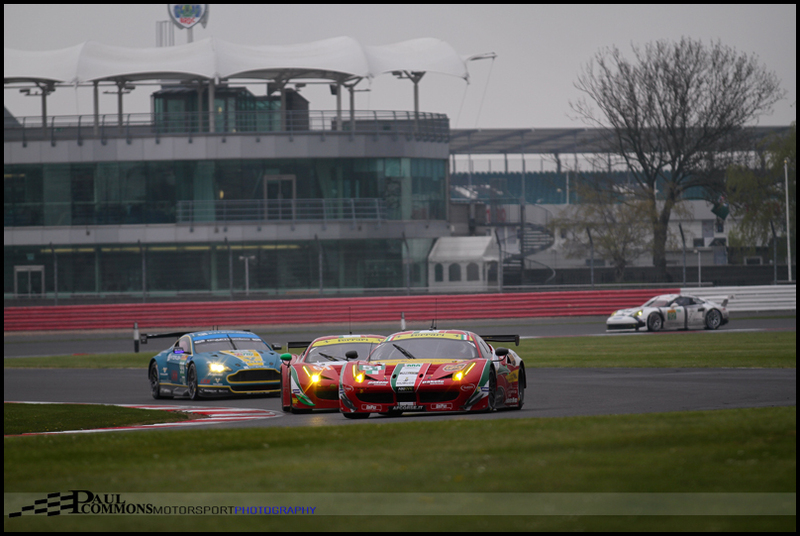 Initial disappointment upon seeing the respective race calendars soon ebbed away on realising that, although the British GT championship, WEC and European Le Mans series all had their opening rounds on the same weekend, it was still possible to see all three races. 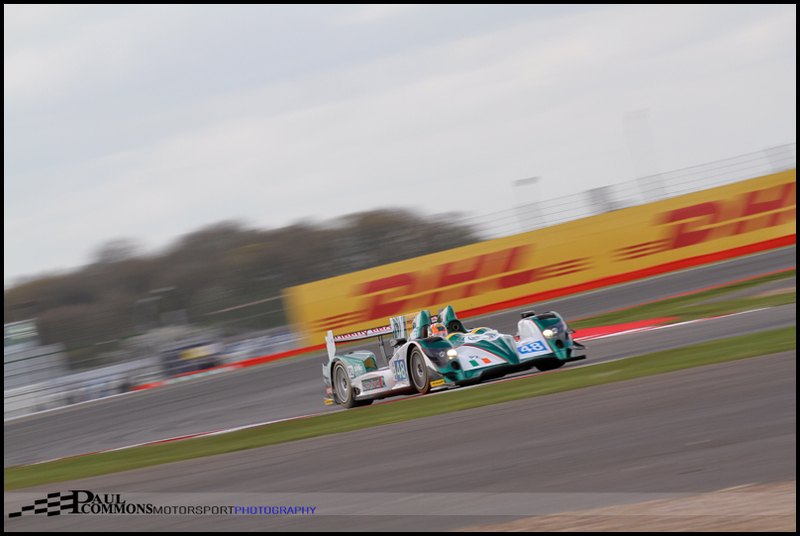 Saturday saw us head to Silverstone for WEC qualifying and the 4 hour ELMS race. Against my personal expectations it was in fact the #7 Toyota of Alex Wurz, Stephane Sarrazin and Kazuki Nakajima that took pole position with a 4 lap average just 0.005 seconds quicker than the #1 Audi of Lucas Di Grassi, Tom Kristensen and Loic Duval. Whilst difficult to read too much into the relative race pace of the cars from the Paul Ricard prologue, it did seem that Porsche and Audi would be quicker over 1 lap. Not that this was a disappointment as I am a big fan of the Toyota; not only does it look great but the 3.7 litre V8 petrol engine sounds fantastic too. Whilst what Audi do with the Diesel engine is an engineering masterpiece it was a worry that the lack of sound would become the norm in sportscar racing. It will be interesting to see whether Audi’s 4 litre Diesel V6 or Porsche’s 2 litre petrol V4 will be able topple Toyota at the next round in Spa or the 24 hour centrepiece in June. 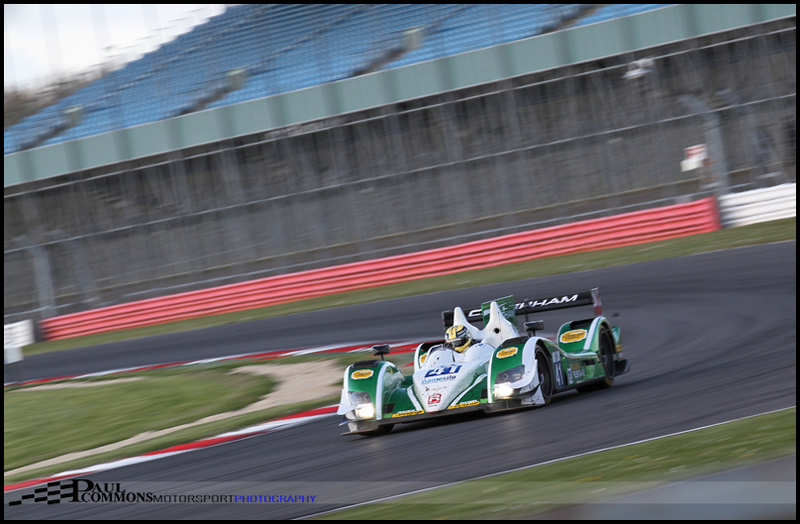 The four hour ELMS race turned out to be the highlight of the weekend. 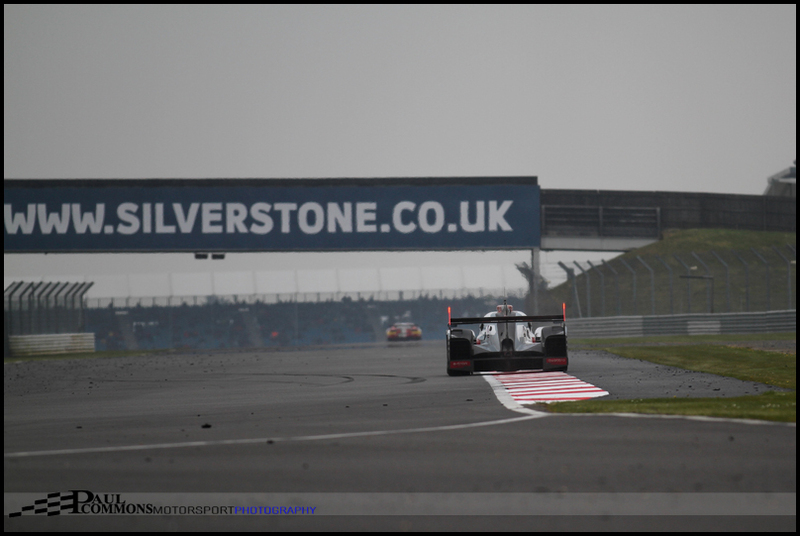 While the WEC is struggling for entries, with just 27 at the opening round, the ELMS boasted a grid of 39 evenly spread across all 3 categories. Having qualified on pole the opening hour of the race was dominated by the JOTA Sport Zytek in the hands of works Audi driver Filipe Albuquerque. The Portuguese was driver able to build a big lead while those behind battled it out. 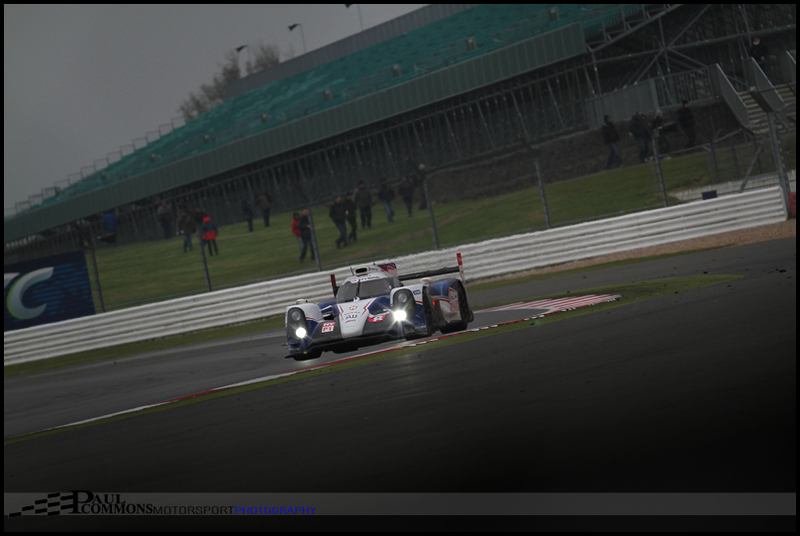 The sun had broken through the clouds towards the end of the first stints which coincided with James Littlejohn’s rise to 2nd overall in the #28 Greaves Zytek. The ex radical racer had put in a stellar debut drive to get the better of some big name drivers including Jan Charouz and Christian Klien. 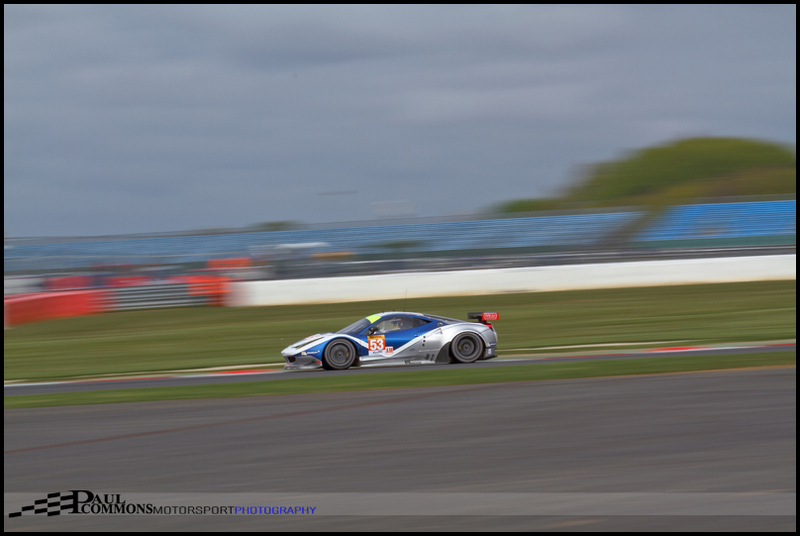 Meanwhile Michael Lyons had put in a great shift in the #54 AF Corse Ferrari to lead the LMGTE class. With such a strong driver line up Simon Dolan, as the silver driver in the JOTA Sport car, had to do the majority of the driving. And although Frank Mailleux was closing the gap, he wasn’t making significant in-roads into Dolan’s lead. For all intents and purposes it looked like the #38 car had this in the bag with pole man Harry Tincknell set to take over for the final stint. But disaster struck on the Dolan’s in-lap as a mistake in traffic lead to a large off and a high speed collision with the Hangar Straight concrete wall. Fortunately, although taken to the medical centre, Dolan had only suffered bruising which is testament to the strength of the LMP2 machinery. Following a lengthy safety car period, a sprint to the finish ensued; with three cars seemingly in with a shout of taking the overall victory. 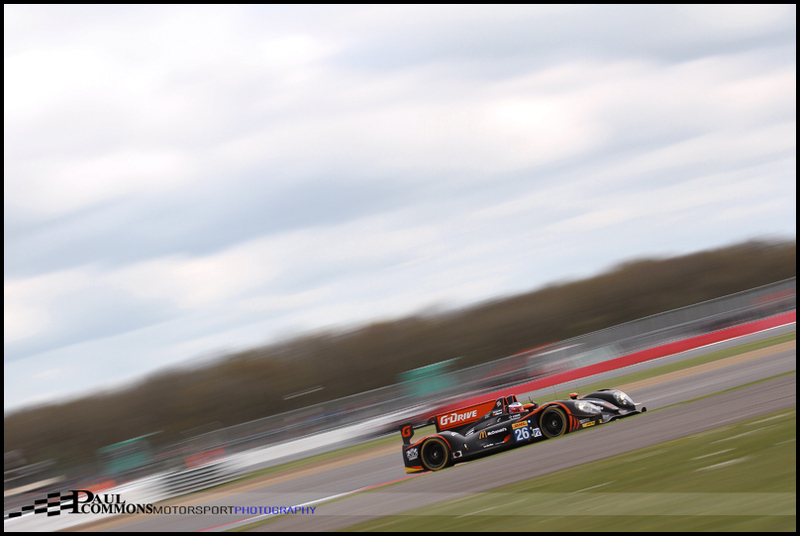 With only a handful of laps remaining Tristan Gommendy passed the #34 Race performance Oreca of Michel Frey to ensure the Thiriet by TDS Racing team would stand on the top step of the podium. Gary Hirsch, in the Newblood Morgan Judd almost snatched second from Frey soon after with a move down the inside at village. The Race Performance driver however was able to keep his head, stay wide and take the inside line for the Loop to keep the position. The increase in race distance from 3 to 4 hours combined with the linkage of driver grading to the required time in the car have really added to the overall spectacle. I for one would definitely like to go and see another round of this championship. It is great to see the entries so high and hard to believe that it was only 2 years ago that only 13 cars were attracted to the Donington round. The day was rounded of in style by combining Stirchley’s best fish and chips with a couple of glasses of Belgium’s finest beer. 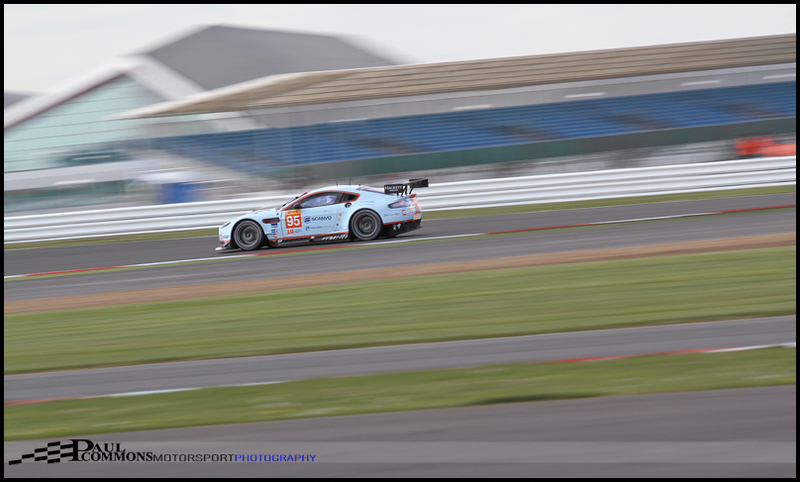 With photos downloaded, batteries re-charged, filters cleaned and cobs made it was time to look forward to Day 2 at Silverstone. The WEC pit walk had attracted most of the 43,000 people who were in attendance for Sunday’s race, which while great for the sport did make it difficult to see anything. While It works so well at Le Mans, with pit access available all day on the friday, the experience at Silverstone has always been a little underwhelming. After 5 minutes of seeing very little we called it a day and headed to Luffield for the race start and a coffee break. 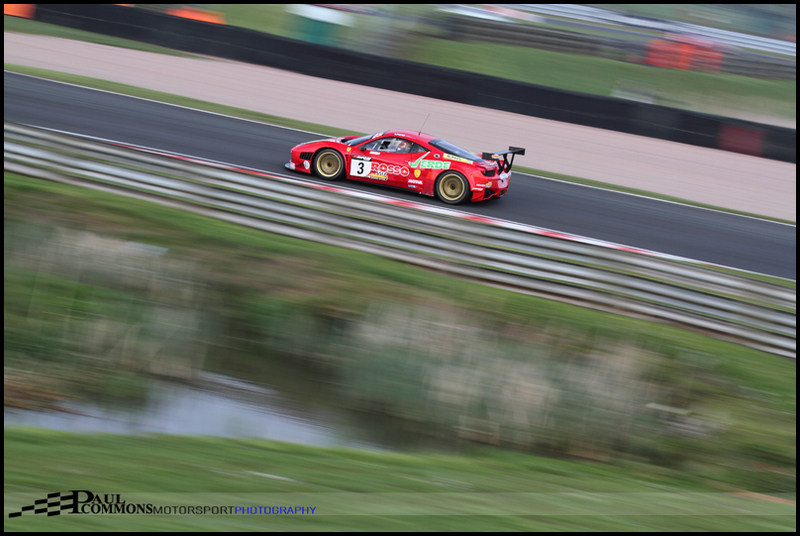 Although rain threatened the race commenced in dry conditions leading to an exciting opening half hour of the race. The Audi’s seemed to have the early pace with the #2 in the hands of Andre Lotterer eventually getting past the #7 Toyota of Alex Wurz to take the lead of the race. But then the rain came down and carnage followed. Toyota wisely brought both cars in for wets / intermediates relatively early while Audi stayed out in the hope of a shorter shower. With the rain getting heavier, traction was becoming a massive issue. 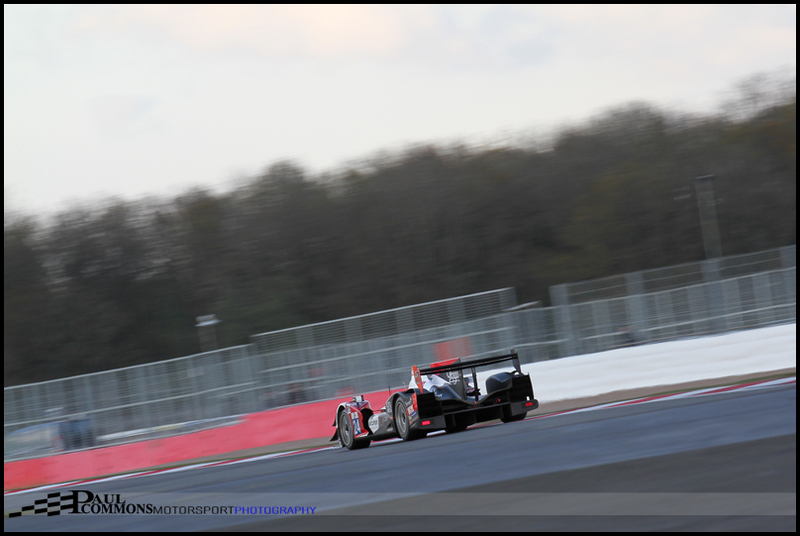 Lucas Di Grassi in the #1 Audi was first to get caught out; losing control of the car through Woodcote and causing enough damage to put the car out of the race. Meanwhile the #14 Porsche had lost a wheel and suffered suspension damage which would ultimately lead to it’s retirement as well. 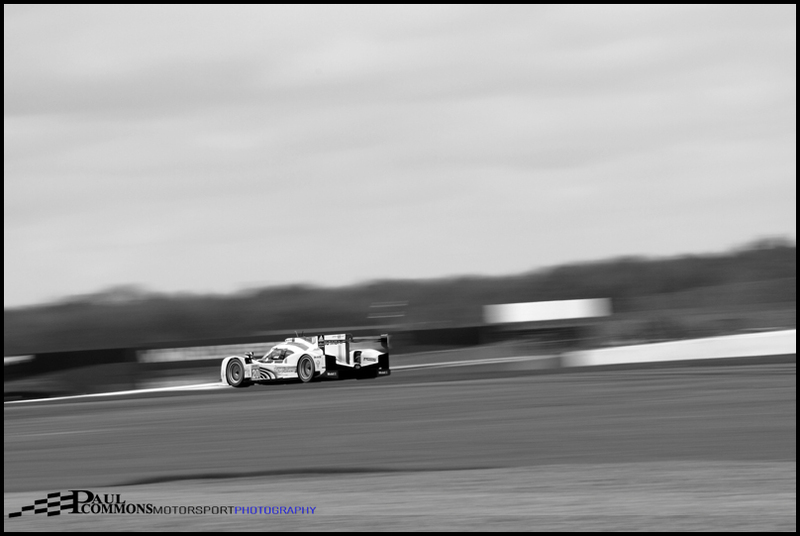 It wasn’t long after this that the seemingly invincible Andre Lotterer would lose control of the #2 Audi at Stowe and fall a couple of laps back whilst being recovered from the gravel. Effectively out of the running for overall victory Benoit Treluyer would later go off at Copse causing race ending damage to the car. This rounded off a terrible weekend for the Audi team and left them with a big job on their hands to get both cars re-built in time for the next round at Spa. By the time the the track had dried out, the battle at the front was effectively over with the #8 Toyota holding a 1 lap lead over the #7 courtesy of choosing wets instead of intermediates. 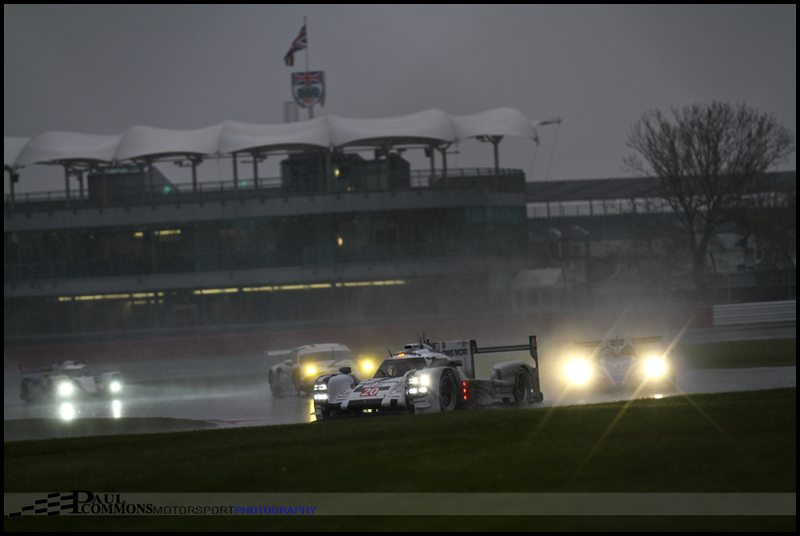 The #20 Porsche was holding onto third but was gradually losing touch with the powerful Japanese machines. This remained the order until the race was red flagged following an afternoon rain shower of epic proportions! 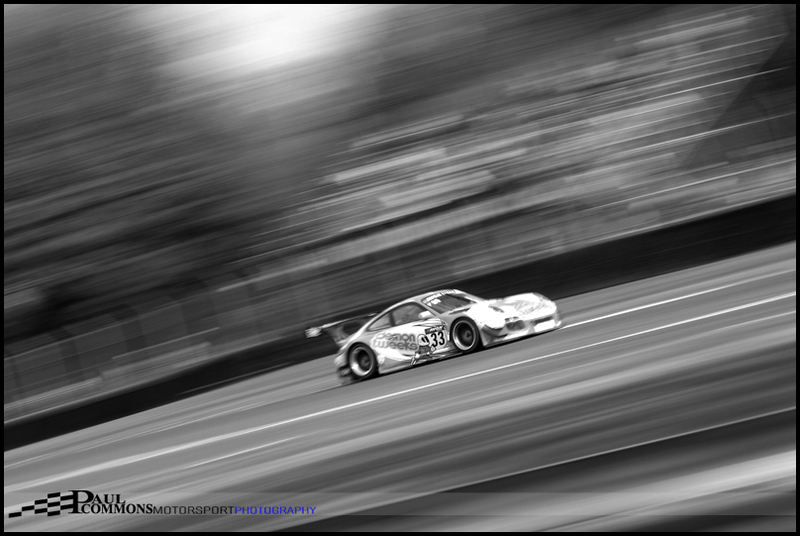 Personally I expected Porsche to be faster this weekend but third represented a good result on their return to top level sportscar racing. Debate surrounded whether they were running “skinny” aero to be used at Le Mans as opposed to a more Silverstone friendly higher downforce set up. I just hope they are on the pace at the 24 hour main event later this year. 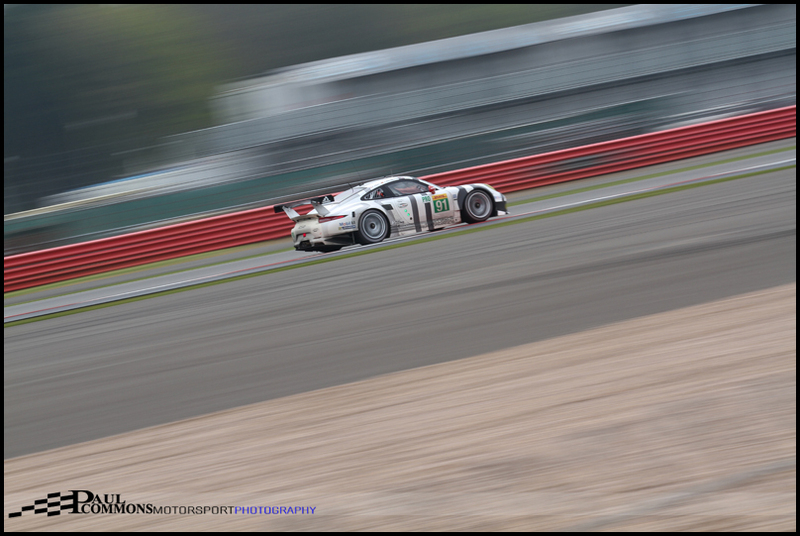 They did however have things more their own way in the GTE Pro class with #92 of Marco Holzer, Fred Makowiecki and Richard Lietz leading home a 911 1-2 finish. 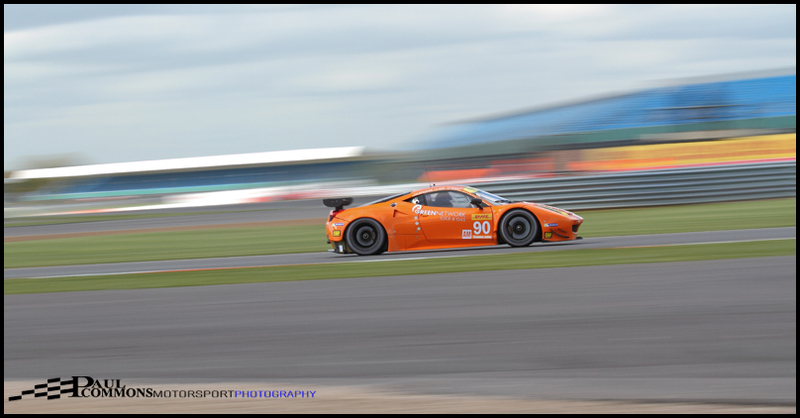 The #51 AF Corse Ferrari did however keep them on their toes earlier on in the race but would ultimately end up fourth behind the #97 Aston Martin of Darren Turner and Stefan Mucke. 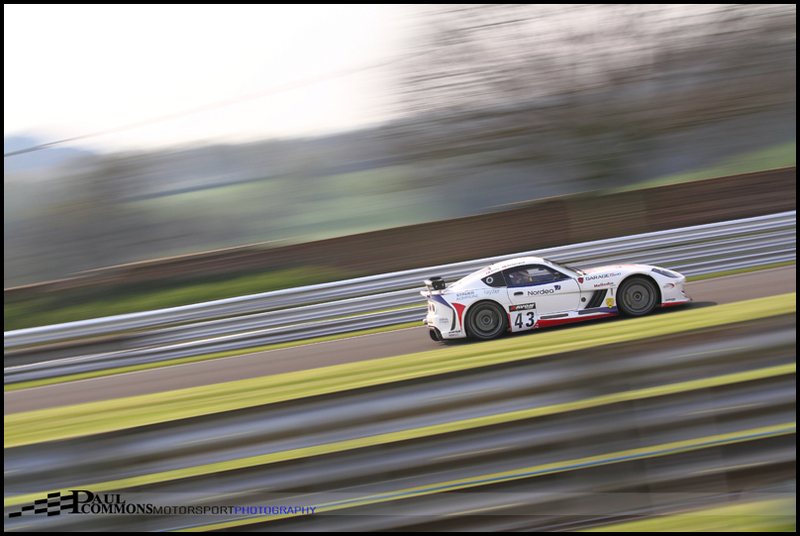 Having eventually dried out, Easter Monday saw us head up to Cheshire for the annual trip to Oulton Park. Summer appeared to have arrived and this time I had come prepared with suncream! 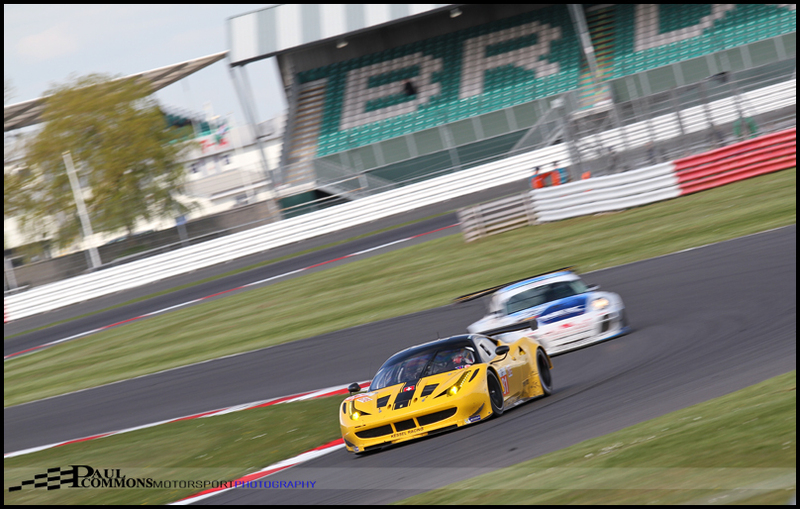 A fantastic grid of cars had been assembled for the opening 2 races of the British GT championship and fans had flocked to the circuit in anticipation of a great days racing. 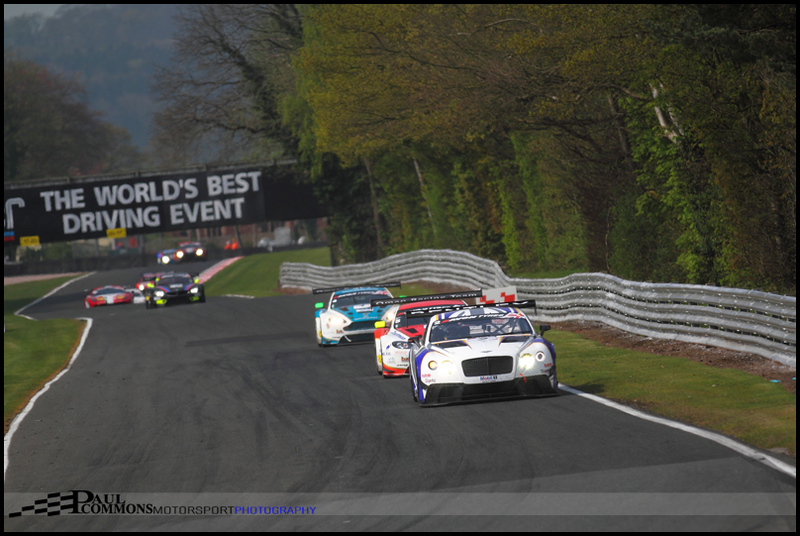 I personally have never seen so many people at a British GT event and I am pretty sure that a grid containing two Bentleys had something to do with it. Unfortunately, as is often the case at Oulton, both races were ruined by safety cars with the safety car in race 1 effectively putting half the field a lap behind. 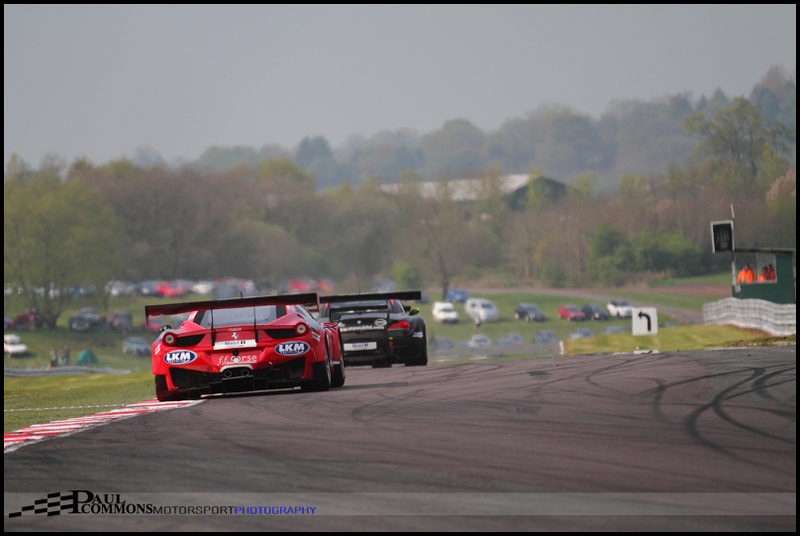 When the racing got back underway Michael Caine was able to build on the good work of Ahmad Al Harthy to take the victory by just over 3 seconds from the AF Corse Ferrari of Pasin Lathouras and Richard Lyons and 2013 champions Andrew Howard and Jonny Adam in Beechdean Aston. 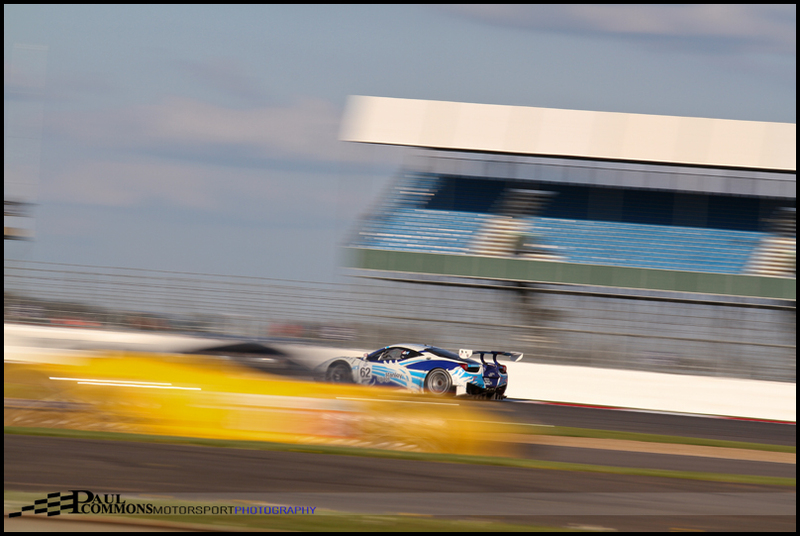 Having qualified on Pole on his British GT debut, race 2 saw the super fast Alexander Sims able to maintain the lead before the intervention of yet another safety car. They were however caught out by the timing of the pit window opening. With cars further back able to pit a lap earlier, Marco Attard (having taken over from Sims) would re-enter the race in third. 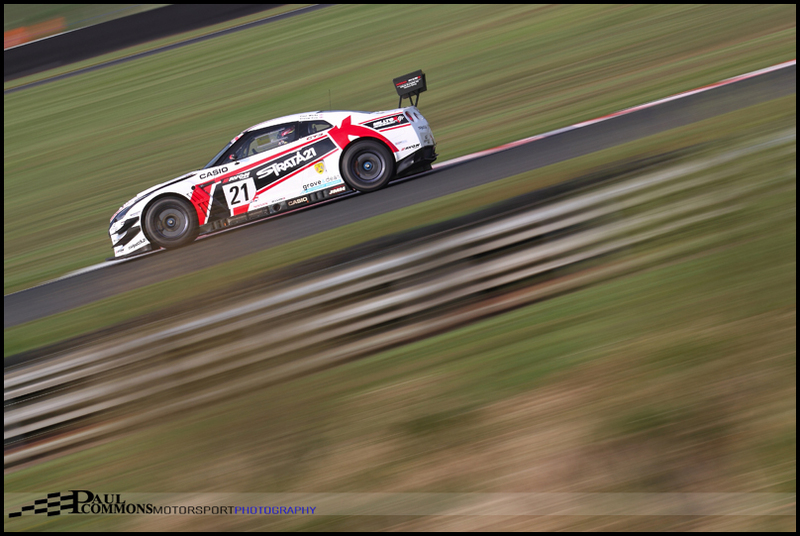 The safety car would soon be out again though following the coming together of Mark Patterson’s Audi and Gary Eastwood’s Ferrari as they battled for the lead. 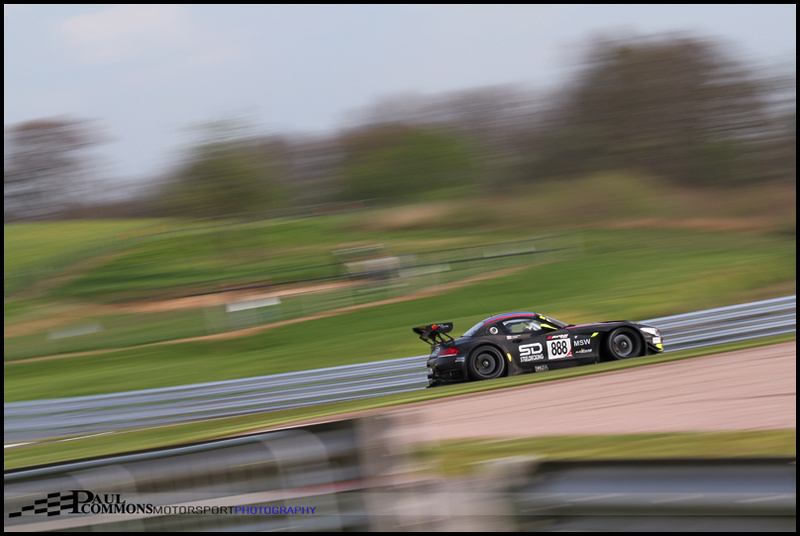 This left Marco Attard to take the victory from John Minshaw and Phil Keen in the Trackspeed Porsche with Andrew Howard and Jonny Adam rounding off an excellent opening weekend with their second podium. Looking back I do wonder whether a single two hour race format would be better suited to Oulton Park especially with growing grids. It would be even better if all races were three hours in length like the Blancpain series but maybe that isn’t want the competitors want and I certainly wouldn’t want to ‘fix’ something that isn’t broken. On reflection it was a top weekend even if a little tiring. 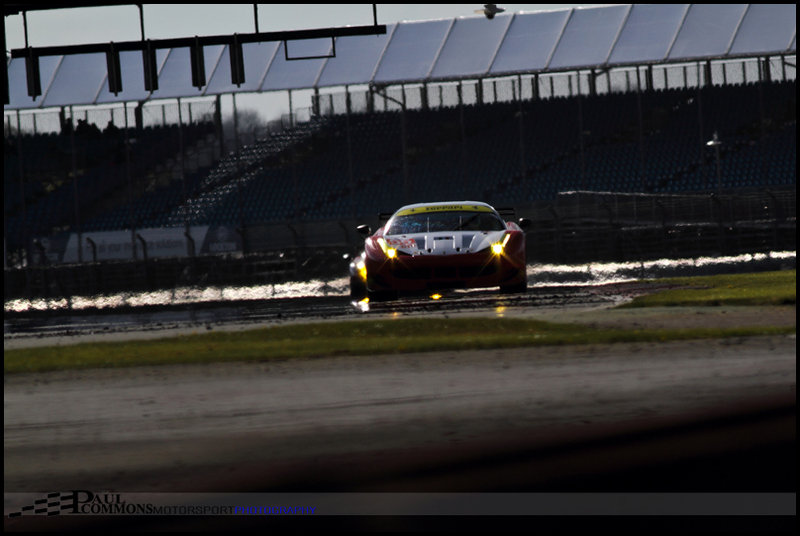 Next up it is Donington and Rockingham on May day bank holiday weekend for the Historic Festival and the next round of the British GT championship. Stay tuned for coverage …. Agree totally, a great weekend, roll on June. Great write up.